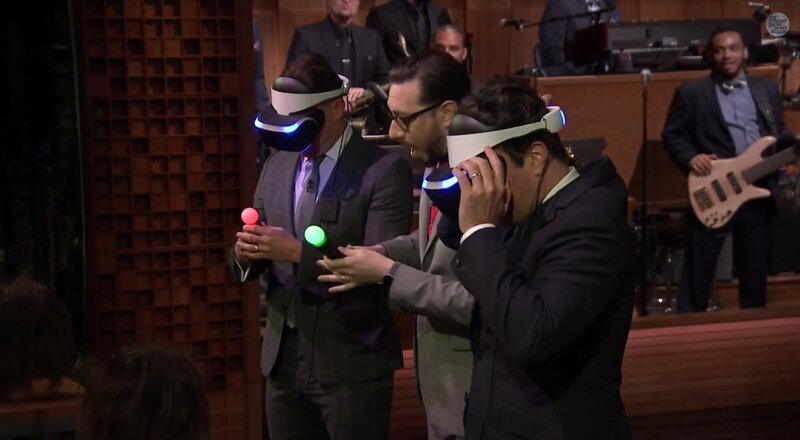 Project Morpheus, the virtual reality headset for the PS4, made an unexpected appearance at the Tonight Show. 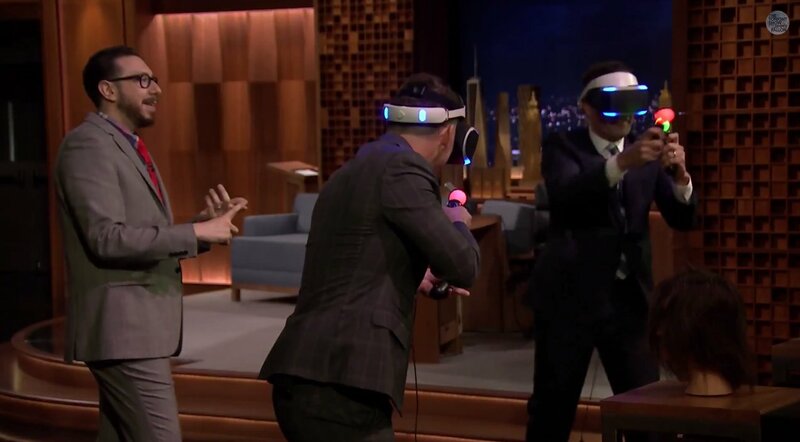 Jimmy Fallon and 22 Jump Street star Channing Tatum did a live demonstration of the VR technology with mixed results. 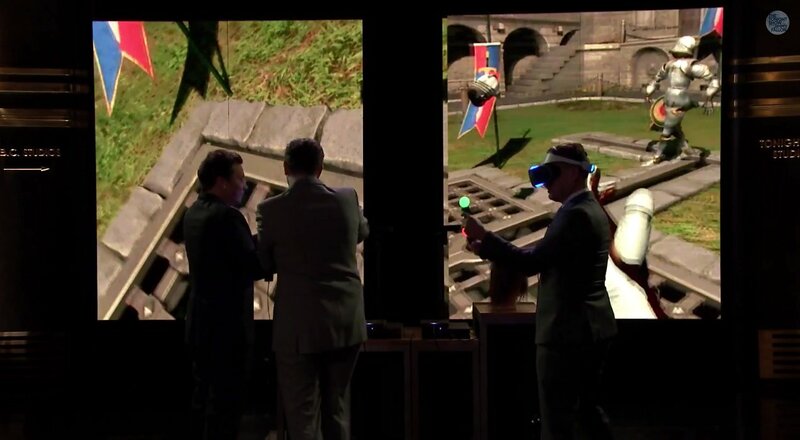 The Project Morpheus demo, which starts about two minutes into the video above, took place in a medieval setting. Tatum and Fallon's characters stood in the courtyard of a castle. The courtyard was empty except for a training dummy. The demo required more than just the headset. The headset merely controlled where their characters looked. 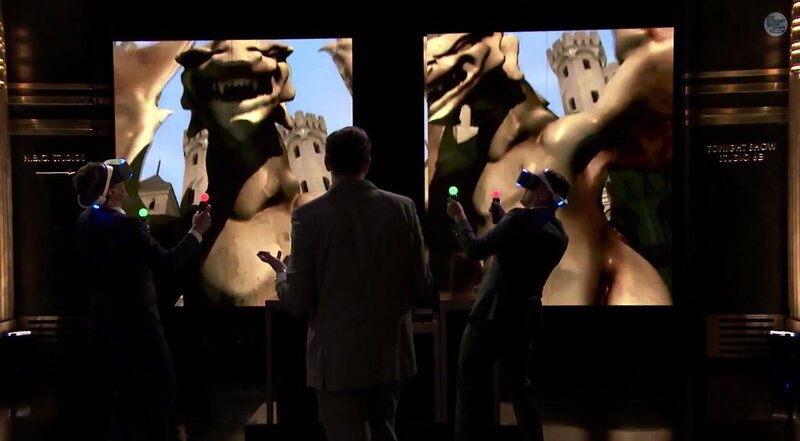 Tatum and Fallon also had to hold PlayStation Move controllers in each hand. The controllers detected their hand movements; for example, when Tatum squeezed his hands, his character balled his hands into fists. Fallon eventually learned that he could wave his hands to strike at the training dummy. He started with some frantic slapping before settling into a rhythm of steady punches. Tatum, meanwhile, tried to shoot him with a crossbow. The demo doesn't go on for too long, though. After the two spend some time flailing around, a dragon shows up and eats them. There's not much to get excited about by the video. 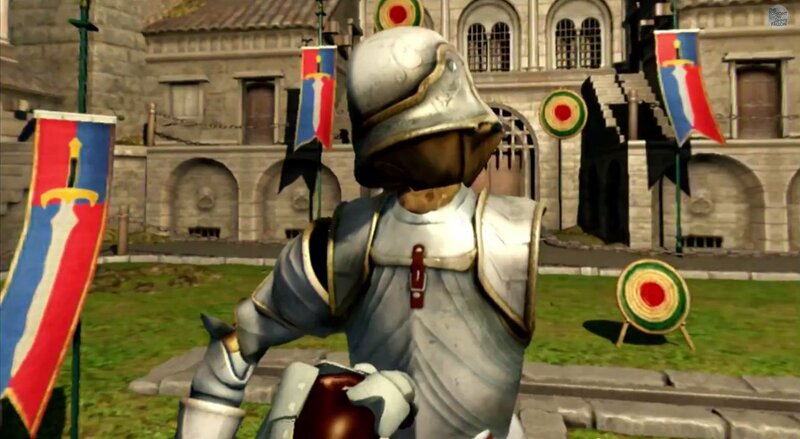 This demo looks like a very rudimentary prototype of a game. There's not much actual gameplay here. The courtyard looks alright but the characters are just helmets and gloves floating in the air. Project Morpheus is supposed to be capable of 1080p landscapes but we're not seeing the full visual potential yet. 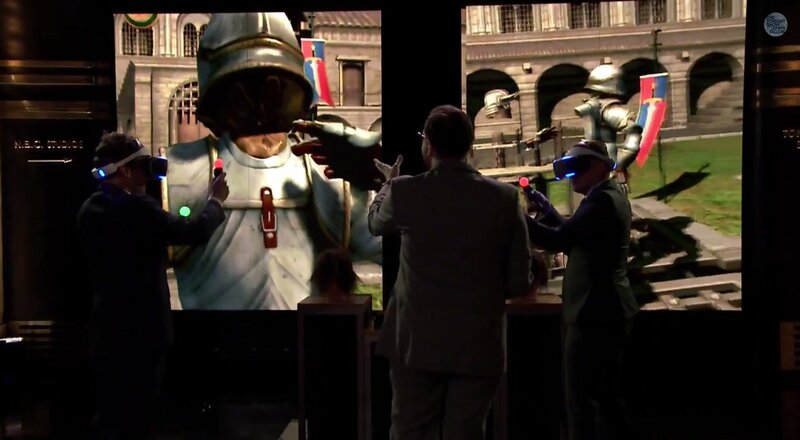 Still, the demo serves it purpose: it shows that the PS4 can do virtual reality and shows what it looks like. It's an introduction to the technology rather than a look at a full-fledged game. Sony revealed Project Morpheus in March. The VR headset won't be released in 2014 but it's possible that the headset will still make an appearance at Sony's E3 press conference on Monday. After all, I don't think they would've shown off Project Morpheus the Friday before E3 if they weren't prepared to reveal more about the tech during the convention.